Designed Specifically for Kindle Fire HDX 7 2013 Release . Built in screen protector prevent your Kindle screen from dust, scratch or being shattered. Easy to convert Kick Stand Design=Extremely Convenient and Excellent for Video and Chatting . 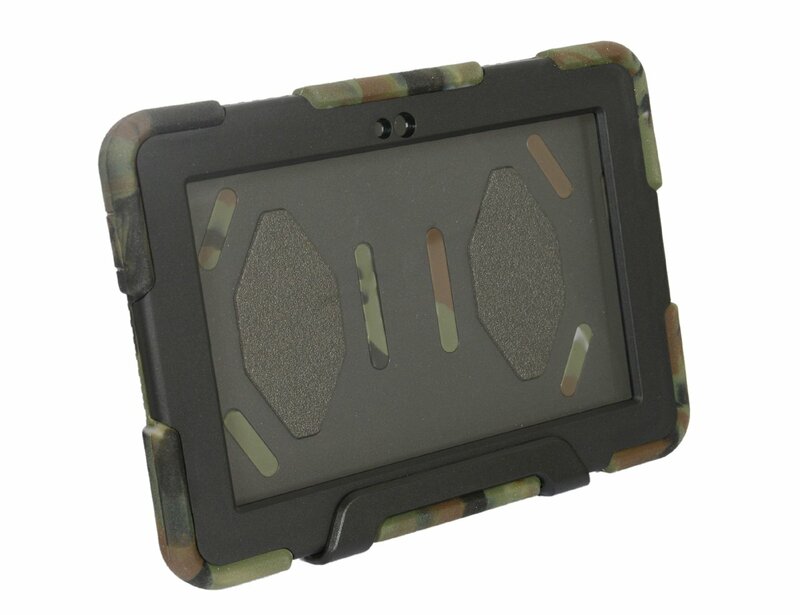 Only supply a camo/black color, there is always a right for your kids to protect his/her fire hdx 7" tablet. 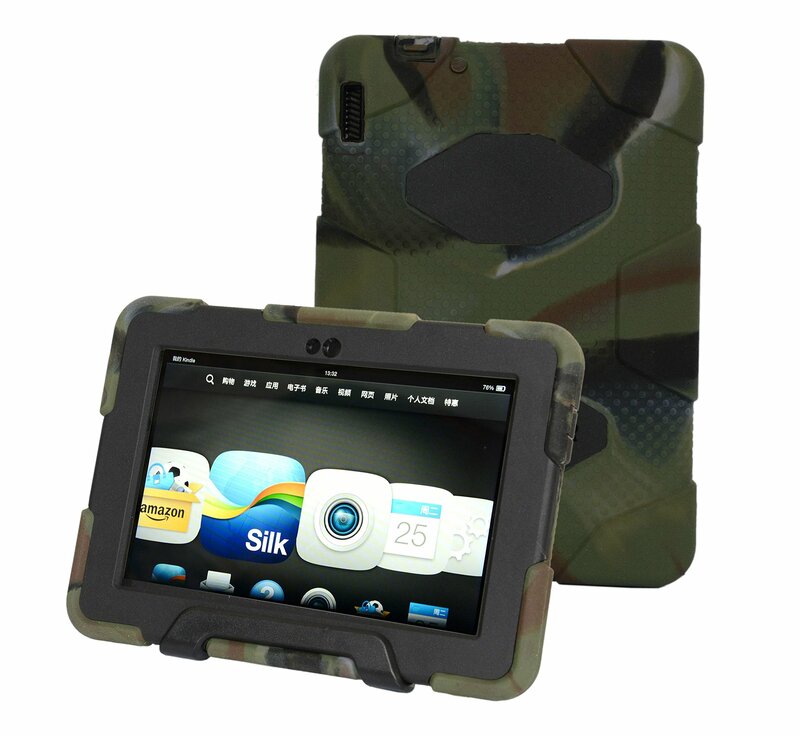 3 layers of protection keep device safe from bumps and drops,perfect fit hdx 7 2013. 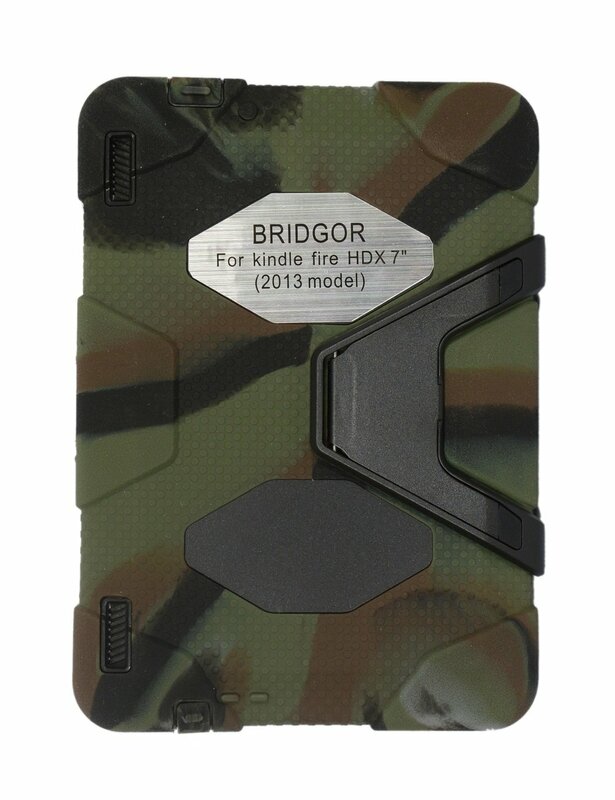 The case is only fit Kindle Fire HDX 7 (2013). It will not fit Kindle Fire HD 7 or HDX 8.9. For the protection of intellectual property rights, The case is only suitable for amazon fire HDX 7" tablet(2013 version).